Cape Town - Mamelodi Sundowns heaped more pressure on defending champions Bidvest Wits with a 2-0 win at the Bidvest Stadium on Tuesday night. There was action from the start and the hosts had what looked a very good penalty appeal turned down in the eighth minute after Reeve Frosler's shot appeared to strike Tebogo Langerman's arm inside the box. Sundowns looked set to score 10 minutes later when a superb counter-attack put Thapelo Morena in on goal, but Darren Keet pulled of a stunning reflex save. The Clever Boys had a great chance to net the opener after the half-hour mark when Elias Pelembe crossed for Daine Klate, but he missed the ball right in front of goal. The visitors ended the half strongly and almost took the lead when Sibusiso Vilakazi's thunderous effort from 20 yards out skimmed the crossbar. Pitso Mosimane's side remained on top after half-time and Percy Tau should have done better from a good position two minutes into the second stanza. Hlompho Kekana tried to take matters into his own hands with an audacious 58th-minute shot from around 60 metres out, which didn't miss by much and had a worried Keet back-peddling. The opener came soon after, Khama Billiat slotting in at the far post after Tau's measured low cross had perfectly bisected the home defence. Vilakazi should have wrapped up the result 17 minutes from time, but he took too long to get a shot away. 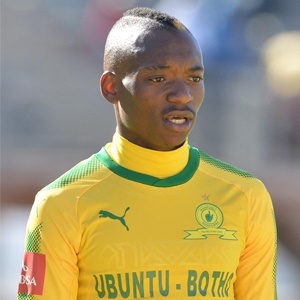 Vilakazi wasted another chance when he fired at Keet, before Tau had a goal ruled out for offside, but Billiat made quite sure of victory eight minutes from time when from the left hand side of the box, he drove home a clinical low shot in at the far post.